The creative process is introduced using the visual elements of additive and subtractive colour and the basic principles of design. This course explores theories regarding physical perception, psychology, and design aspects of colour. A variety of concepts, materials and techniques are used in class to investigate the aesthetic and psychological principles of design and colour. 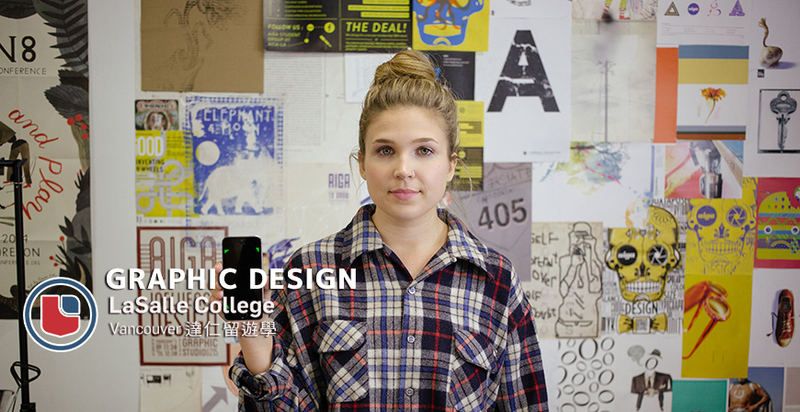 Students will explore, identify and implement basic visual design principles and elements. Concept development processes and material manipulation will be used in combination with design principles to create effective and appropriate visual compositions. Students develop basic image manipulation skills in a raster-based computer environment. This course will focus on the origins of the World Wide Web, an introduction to various web browsers and recent developments and applications concerning the Internet and World Wide Web. Students will also create World Wide Web pages utilizing HTML, the basic scripting language of all web documents, in addition to many other effects and extension scripts available for that medium. Courses are subject to change at the discretion of the campus. » For international students that may already have previous experience in any of our program disciplines, students may submit academic transcripts to be evaluated for an advanced course package. This course merges theory with practice, exposing students to the steps for completing a design project. Utilizing their knowledge of color theory as well as design, drawing and drafting principles, students will research and document solutions to several residential design problems. Students will learn strategies for analyzing clients’ needs and conveying effective solutions successfully. CAD training requires in-depth understanding of the commands and features of the AutoCAD software. Through this hands-on course, students will gain the knowledge and skills necessary for creating basic 2D drawing. Students will increase their awareness of visual communication through exploration of editing, view manipulation, text, dimensioning, hatching and plotting techniques. This is a fundamental drawing course in which students will explore various methods of applying line, shape, form, shading, proportion, framing and perspective to develop drawings that communicate reality and imagination. Students will be introduced to basic concepts of 3D space, modeling, materials, lighting, and animation. Students will demonstrate their knowledge by producing a project from inception to completion. This course introduces students to the timeline, technological shifts, and key genres in the brief history of electronic video games. The student will develop a written and verbal vocabulary for analyzing games and their cultural significance. Students will be introduced to traditional game theory and design and how they relate to their modern electronic cousin. Students work in teams to apply models and strategies for creating traditional games that are based in solid play mechanics. Students will experience an entire game cycle: identifying the audience, pitching the game, prototyping, creating a final product and play testing. Students will develop the foundations of basic video editing using industry-standard nonlinear editing software. Emphasis will be on making choices and editing for story. 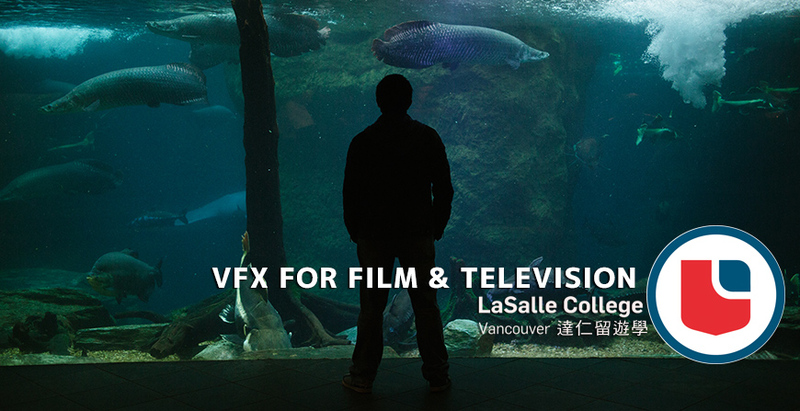 This course will approach the medium of film and television from a primarily “visual” standpoint. It will seek to divorce the “visuals” from the various other elements of production, dialogue, music, etc., and will instead examine how shot composition, camera choreography, and editing language work to tell the story within the various mediums. This course introduces students to the video camera as a technical and creative tool for communication and art. The course emphasizes camera operation and the setup for electronic field production (EFP) and studio applications. Students integrate the principles of lighting and gripping into video applications. Camera movements and framing are applied using different camera mounts. This course examines the classics the films of the past that have shaped the way films are created and viewed today. It explores film genres and history, with particular reference to social, artistic and political influences that have shaped and affected the development of film. Special emphasis will be given to cinematic style and substance as it relates to: contemporary filmmaking, the important elements of a film (such as visual aesthetics, storytelling technique, character development), and the impact a film can have on the viewer. This course provides students with an invaluable contextual framework that will assist them in creating their own compelling films. A presentation of the basic elements and principles of design and colour theory will be made in this course. The student will develop a firm foundation to lay out and organize design elements. This course also explores the theories regarding physical perception and design aspects of colour. Exercises in contrast, balance, harmony, spatial perception, and symbolism will be used to demonstrate the unique communication properties of colour. This course is a fundamental drawing course where the students will explore various arts and media and learn to use a variety of drawing tools. This course involves the observation and translation of three-dimensional form into two dimensional drawings. Starting with simple shapes and progressing to more complex organic forms, students will build skill levels in composition, line quality, and use of tone. Students will study timing and weight through a series of projects designed to demonstrate the principles of animation. Issues such as keyframing, in-betweening, and cycling will be addressed. This course has both theoretical and practical elements. The course provides an overview of the history of visual effects with emphasis on various effects processes in their historical and modern contexts. Students will be encouraged to assess and analyze various production roles. This course also provides an students with an opportunity to become familiar with compositing applications and fundamental compositing theories and principles. Students will be introduced to the foundational concepts in audio theory. They will learn about the nature of audio waveforms, principles behind audio hardware and software signal processors, the design and use of typical microphone types as well as understand the history of the recorded medium and its transition from analog to digital. In a practical component students will learn to distinguish between various frequency bands. Introduction to professional audio recording equipment with an emphasis on its practical use in a hands on environment. The course content includes audio signal flow and digital multitrack recorder operations. The protocols and procedures of the professional audio industry will be discussed and followed in class. Students will also be exposed to the work habits, attitudes and expectations of the audio industry. Students develop a working theoretical and skills-based knowledge of the multi-timbral synthesizer and the sequencing environment within the context of the contemporary MIDI production studio. Both live and studio applications are covered, including dynamic and static parameter automation. Digital Audio I introduces students to the concepts, procedures and techniques of non-linear digital audio editing. Through lectures and inclass projects, instruction covers digital audio theory and developing non-linear audio workstation skills. By the end of the course, students are ready to apply their skills to intermediate and advanced work in non-linear digital audio production effects and mixing. 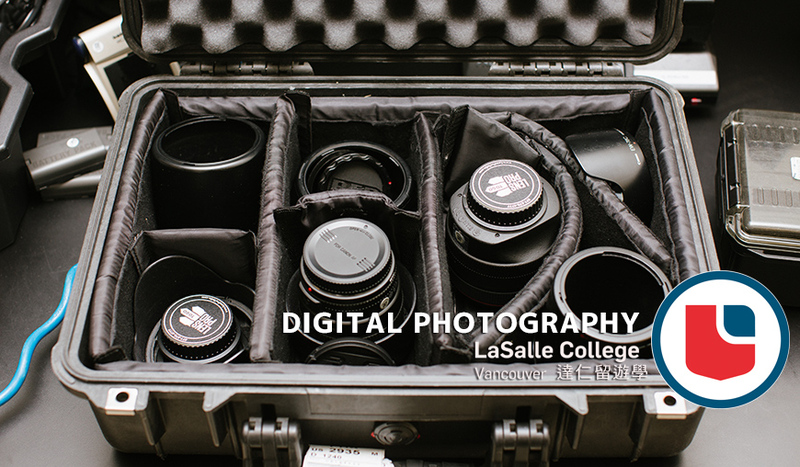 Students will identify basic photographic tools and their intended purposes, including the proper use of aperture, shutter speed, ISO, focal length, and light metering. Students will analyze photographs and produce their own visually compelling images by employing professional photographic techniques and digital workflow. Introduces the student to an overview of vector, raster and time-based software tools used in the digital media industry. It sets expectations for future classes regarding standards for files, their construction and delivery within the classroom and professional studio. Introduces digital photographic workflow and asset management. Students become acquainted with the terms, concepts and processes of photographic editing. Areas of instruction include image acquisition, management, global and local adjustments and modes for output. Students examine the basic principles of marketing, integrating the concepts of consumer motivation with modern marketing strategies and planning. 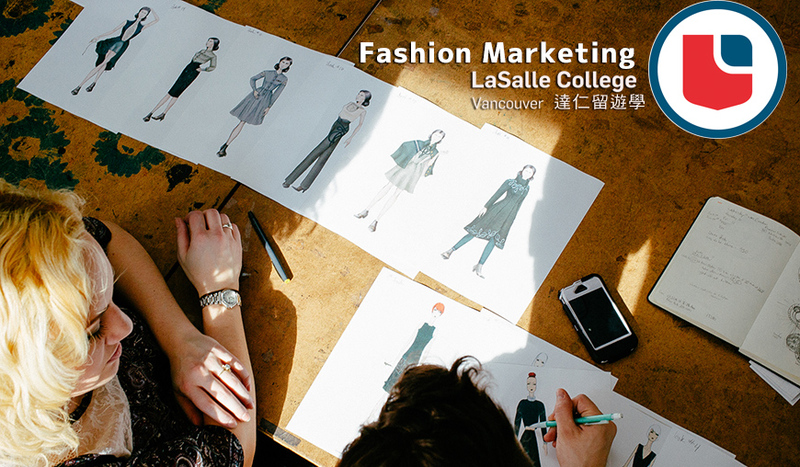 This course is an overview of the fashion industry, including design, production, and marketing. 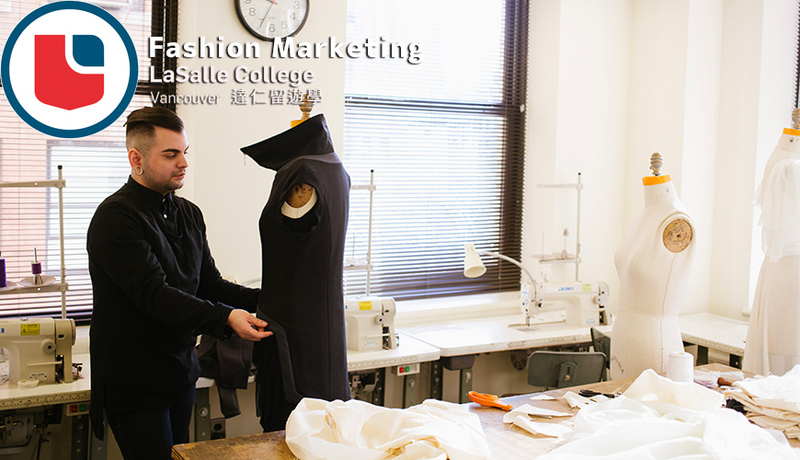 Students examine the process of production from the development of textiles to the strategies of retailing. Students further explore techniques of fashion illustration for design communication. Life drawing is included. Students study natural and manufactured fibers, their production, uses and characteristics. Food & Beverage Services is an introductory course that helps students identify the food and beverage requirements for special events. While providing a basic understanding of the food service function & catering operations, students will learn about selecting & contracting caterers, choosing appropriate meals for specific clients or groups, and understanding costs & quality. Licensing, sanitation, legalities, scheduling, alcohol service & related risks, and health & safety regulations are also included in this course, which will prepare students to complete an exam for FoodSafe certification. Project Management & Strategic Planning introduces students to the special events industry as well as the logistical planning involved in organizing an event. Beginning with developing missions, goals & objectives, students will also develop critical paths, project plans, procurement plans, as well as conduct a SWOT analysis. As a large focus of this course is on project management, many of the skills that are learned will be transferable to a variety of other projects and jobs. Business Communications is a foundation course that helps students develop writing strategies that can be confidently adapted to a wide range of professional situations. Because the course aims to raise the student’s communication performance to a professionally acceptable level, this is a “learn by doing” course. The primary means of instruction and learning will be guided writing practice in realistic business contexts. Instruction and assessment of student writing will focus on both the writing process and students’ ability to create professional, finished products. While an event may seem successful after completion, it is important to evaluate and recognize whether or not it has met the goals and objectives of the stakeholders involved. 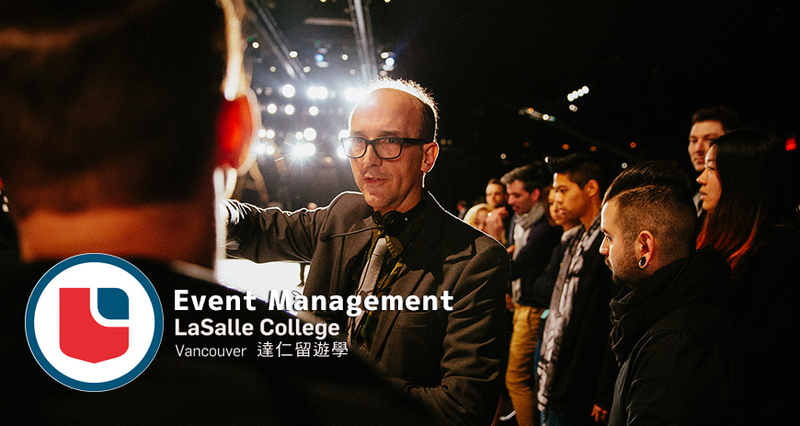 As an integral part of the event management process, Stakeholder Management & Measuring Return will teach students how to identify and manage event stakeholders as well as develop effective evaluation techniques to measure ROI (Return On Investment). The fundamental concepts, skills and techniques involved in basic cookery are covered in this course. Special emphasis is given to the study of ingredients, cooking theories, and the preparation of stocks, broth, glazes, and soups, thickening agents, the grand sauces and emulsion sauces. Lectures teach organization skills in the kitchen and work coordination. The basics of stocks, soups, sauces, vegetable cookery, starch cookery, meat and poultry are covered. Emphasis is given to basic cooking techniques such as sautéing, roasting, poaching, braising and frying. This course introduces food and environmental sanitation and safety in a food production area. Attention is focused on food borne illness and their origins, and on basic safety procedures followed in the food service industry. Provincial regulations are addressed in terms of Food Safe, WHMIS, and Work Safe BC. The fundamental concepts, skills and techniques involved in basic cookery are covered in this course. Special emphasis is given to the study of ingredients, cooking theories, and the preparation of stocks, broth, glazes, soups, thickening agents, the grand sauces andemulsion sauces. Lectures and demonstrations teach organization skills in the kitchen, work coordination, and knife skills. The basics of vegetable cookery, starch cookery, meat and poultry are covered. Emphasis is given to basic cooking techniques such as sautéing, roasting, poaching, braising and frying. Students must successfully pass a practical cooking examination covering a variety of cooking techniques. The fundamental concepts, skills and techniques involved in basic cookery are covered in this course. Special emphasis is given to the study of ingredients, cooking theories, and the preparation of stocks, broth, glazes, soups, thickening agents, the grand sauces and emulsion sauces. Lectures and demonstrations teach organization skills in the kitchen, work coordination, and knife skills. The basics of vegetable cookery, starch cookery, meat and poultry are covered. Emphasis is given to basic cooking techniques such as sautéing, roasting, poaching, braising and frying. Students must successfully pass a practical cooking examination covering a variety of cooking techniques. Students are introduced to the fundamental concepts, skills and techniques of baking. Special significance is placed on the study of ingredient functions, product identification and weights and measures as applied to baking. Lectures, demonstrations, production, tasting and testing, students learn yeast-raised dough mixing methods, pie dough, quick dough, cookie dough, and product finishing techniques. Students must pass a practical exam. This course introduces students to the fundamentals of catering, special events and sales in the hospitality industry. The course focuses on understanding the catering’s role within the hospitality industry and the various catering disciplines. Students also discuss topics such as contracts, checklists, legal considerations, staffing and training, food production, and sanitation. This course is project driven which requires significant creative and independent work. *Prices include application fee, quarterly fee and tuition fee. An additional cost for books and supplies will apply. **Prices include application fee, quarterly fee and tuition fee based on 12 credits. An additional tuition applies for 15 credits. An additional cost for books and supplies will apply.